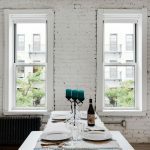 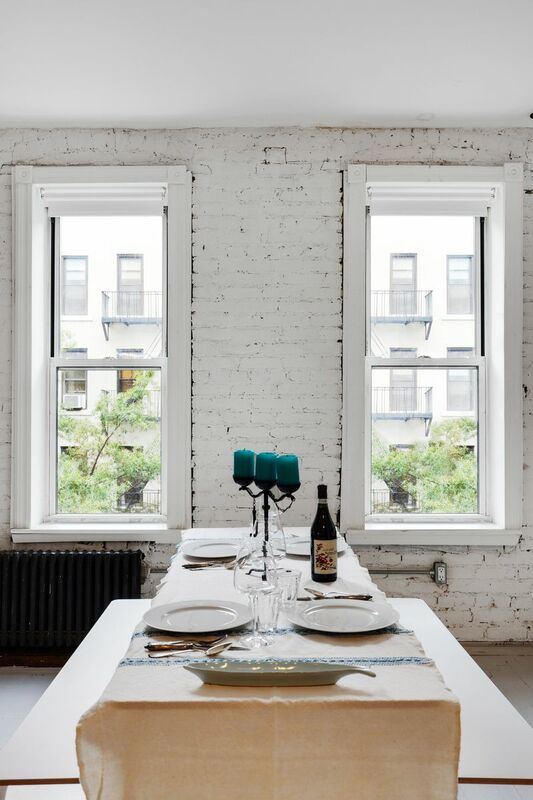 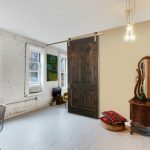 Distressed whitewashed brick walls and country chic accessories come together with raw lighting and stainless accents at this Chelsea co-op, creating a vibe that is both rustic and industrial at the same time. 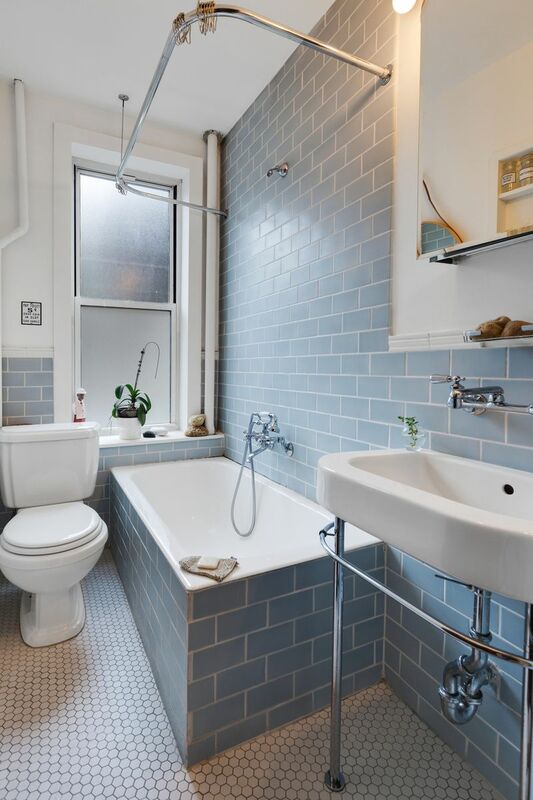 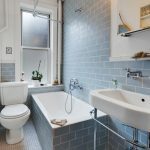 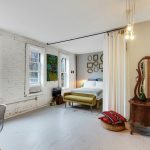 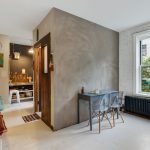 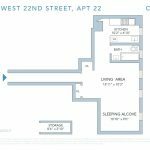 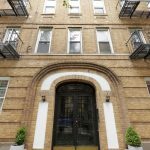 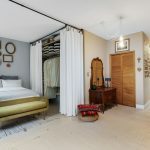 The one-bedroom unit at 261 West 22nd Street has just hit the market for $725,000, and it’s got plenty of perks like an in-unit washer-dryer, a renovated kitchen, and plenty of custom storage. Currently, the layout has the bedroom nook open to the living space (see the lead image), but a digitally staged image shows an alternate idea to add a barn door as a divider. 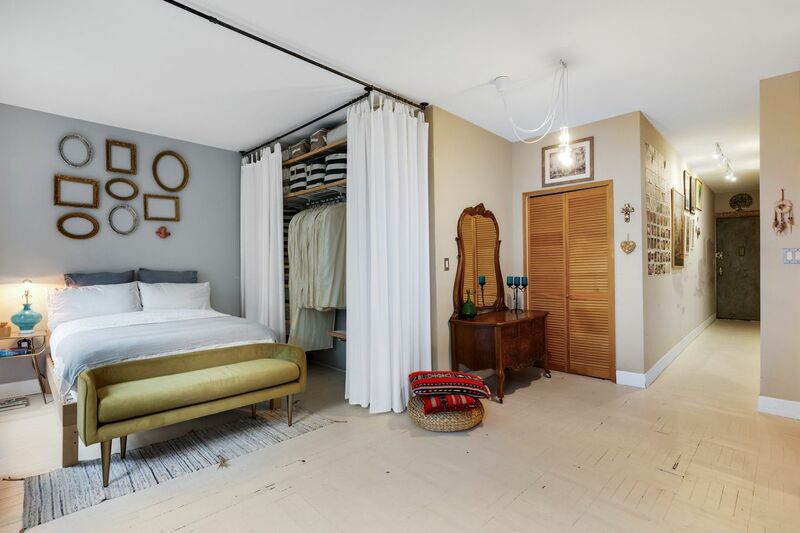 In this area is a nicely built-out Elfa shelving system, which accompanies two addition closets off the entry hall. 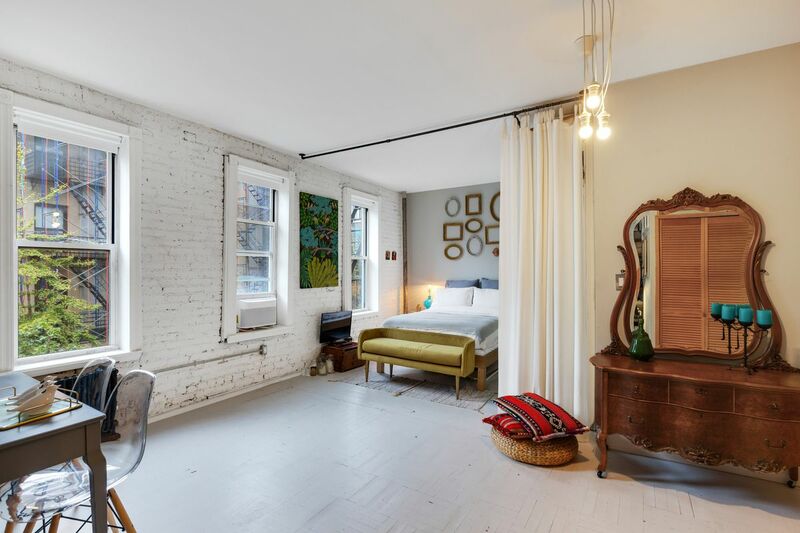 For even more space, the unit comes with private storage in the basement. 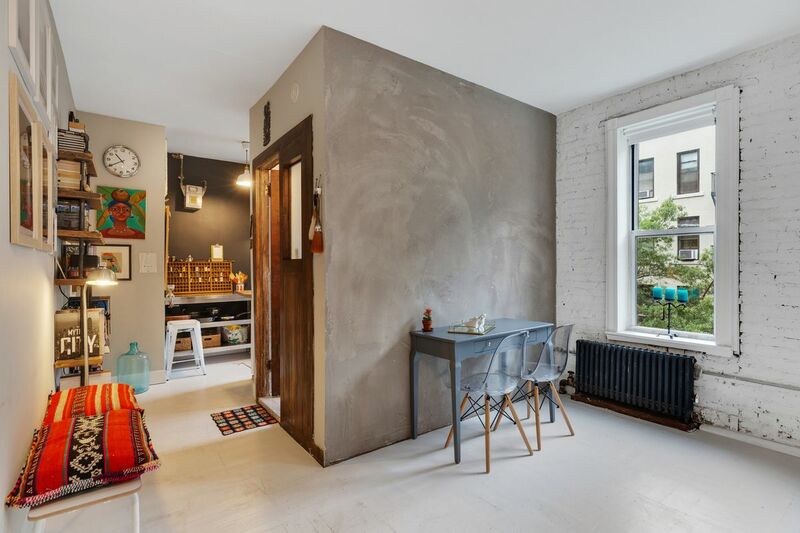 There’s plenty of room for a dining table and desk set up in the living area, which is divided from the kitchen by the bathroom. 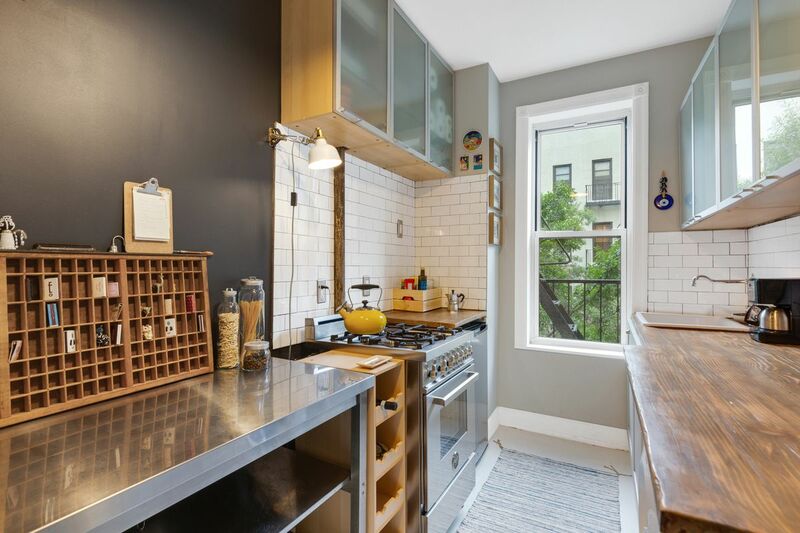 This small hallway has even more custom shelving. 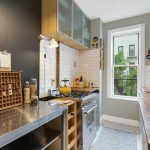 The kitchen exquisitely displays the rustic/industrial combo, mixing stainless steel and slab wood counters, subway tiles, floating metal and glass cabinets, and trendy black walls.